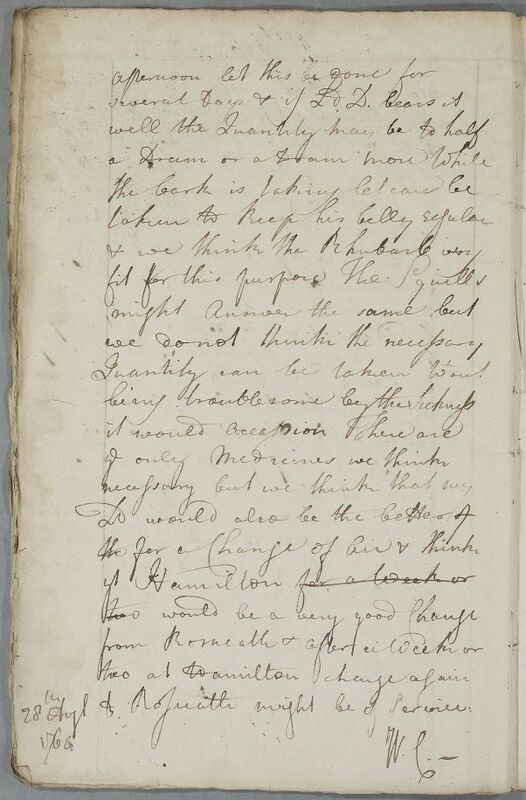 Reply, 'For L[ord] Douglas Hamilton', concerning chincough. 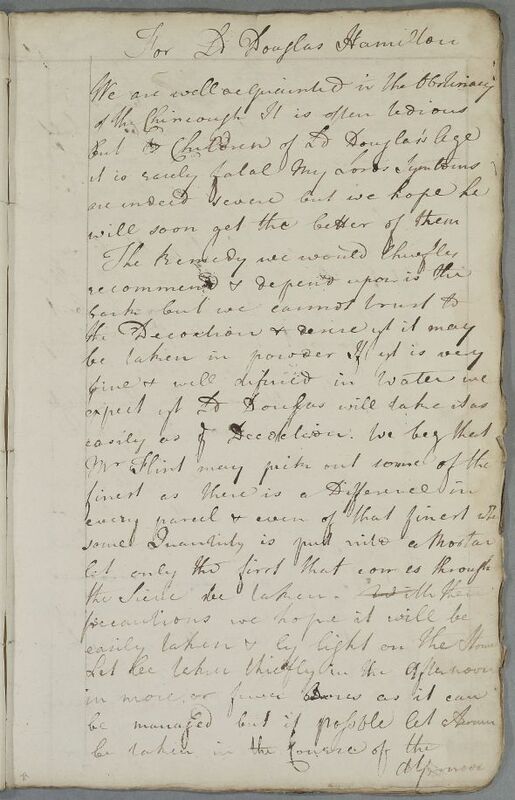 Summary Reply, 'For L[ord] Douglas Hamilton', concerning chincough. Case of a child, Lord Douglas Hamilton, with 'chincough'. taken & ly light on the Stomach. to Rosneath might be of service.